It is widely recognized, almost to the point of being a cliché, that, in the past half-century, astonishing scientific and technological advances have far outpaced the political, economic and social structures within which they take place. Indeed, as millions of Syrians and others can testify, there has not only been no progress on those fronts, there has been substantial regression. 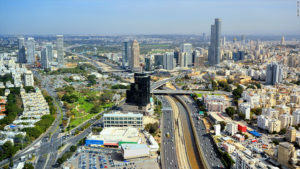 Tel Aviv’s hi tech sector is attracting R&D representation by major companies worldwide. Millions of young and middle-aged men in the U.S. and other Western countries have given up even looking for work. Concentration of wealth has reached proportions not seen since the Middle Ages. Religious and tribal conflicts have covered entire regions with blood. Horrible atrocities are committed daily with only rhetorical reaction on the part of the rest of the world. And so on and on. In miniature, Israel reflects this dichotomy. It is a world leader in science and technology, a featherweight boxing with the heavyweights and usually winning. Its defense and security industries are flourishing way beyond what would be expected of such a small country. Israel’s armed and security forces, as well as its intelligence agencies, are the envy of countries many times its size and wealth. On the economic front the country is doing remarkably well, having passed through the “Great Recession” with scarcely a scratch. Unemployment is at a record low; median income is at a record high. All this is reflected in Israel’s use of the instruments of statecraft; that is, the strategies adopted by countries and other entities internationally active in the attempt to implement external policies and objectives. Statecraft includes diplomacy, propaganda, economics, subversion, military display and war. In all of these, with one glaring exception, Israel excels. Although there are serious deficiencies in the Israeli political system and even more serious rifts in its social structure, due to religious and other differences, Israel manages to maneuver with great skill among the dangerous international shoals surrounding it. Even diplomacy, which some commentators consider a weak point, has in fact been very skillful; when coupled with other strategies, especially economic and technological, opening new vistas for Israeli influence in Asia, Africa and elsewhere. An occasional misstep, such as the recent agreement with Turkey, must be set off against many successes. The one glaring exception, mentioned above, is propaganda, or public diplomacy. Not only is the Israeli government very bad at public diplomacy, it is dealing with hostile entities which are very good at it indeed. It is truly amazing how effective the propaganda of such entities as Hamas, Hizbullah, the PLO, Islamic State and their allies and protectors, such as Iran and Russia, is, compared to Israel’s, not to mention Western Israel-haters such as the BDS people. The curious thing is that all those entities make excellent use of contemporary technology, exactly the area in which Israel excels. To mention but one example, their use of the social media is positively brilliant, while Israel’s is essentially nonexistent. Why should this be? The Israeli story is marvelous in many ways. The reality of its enemies is generally abysmal. The material is there, but it is not used. While its enemies are busy creating a fantasy world out of lies and half-truths, Israel, with truth on its side, cannot construct a coherent propaganda strategy despite what should be a huge starting advantage. This, contrary to what many Israelis think, is not unimportant. For many in the world, appearance is reality, and if they are only exposed to one appearance, that become for them reality. Wake up, Israel, and make use of your world-class technologies to tell your world-class story.